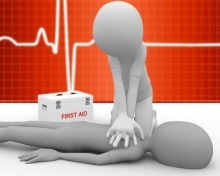 CPR on line course - does not include full credential. code will be sent upon payment to access site for online credential. Student must arrange with WMO for hands-on session upon completion of online portion for full CPR credential at additional fee.